This Elegant off-white book fold matt finish artboard card is made especially for use in Hindu weddings. 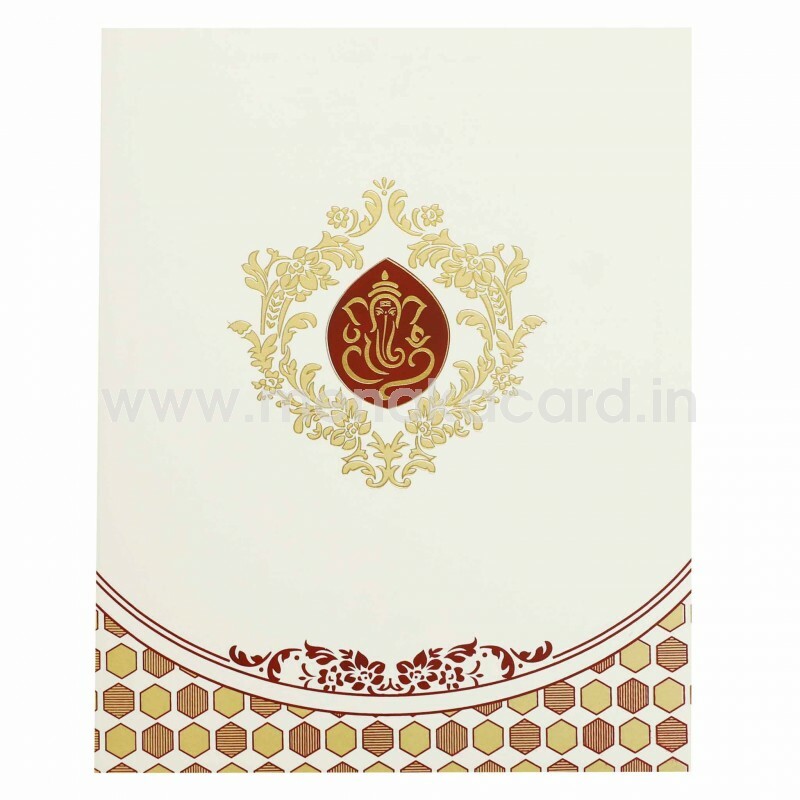 The kumkum red, off-white and gold combo, adds an ethnic touch to this card with the centre of the main card holding an ornamental filigree pattern in gold ink and foil at the centre framing the contemporary Ganesha logo in gold foil at the centre of the frame. 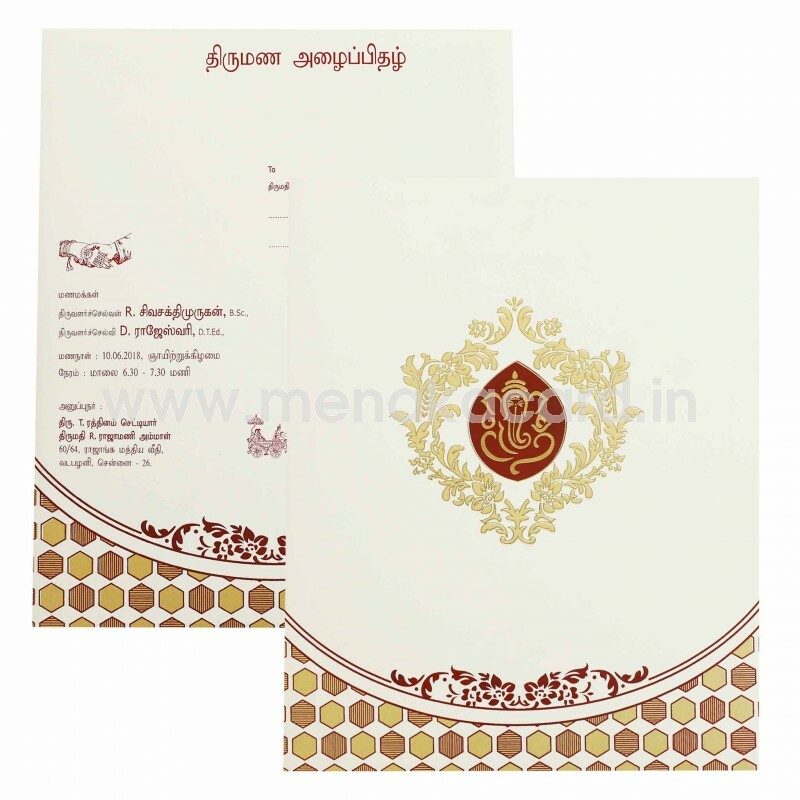 An arch design at the bottom holds a modern hexagonal lattice pattern in gold and maroon below a floral ornament. 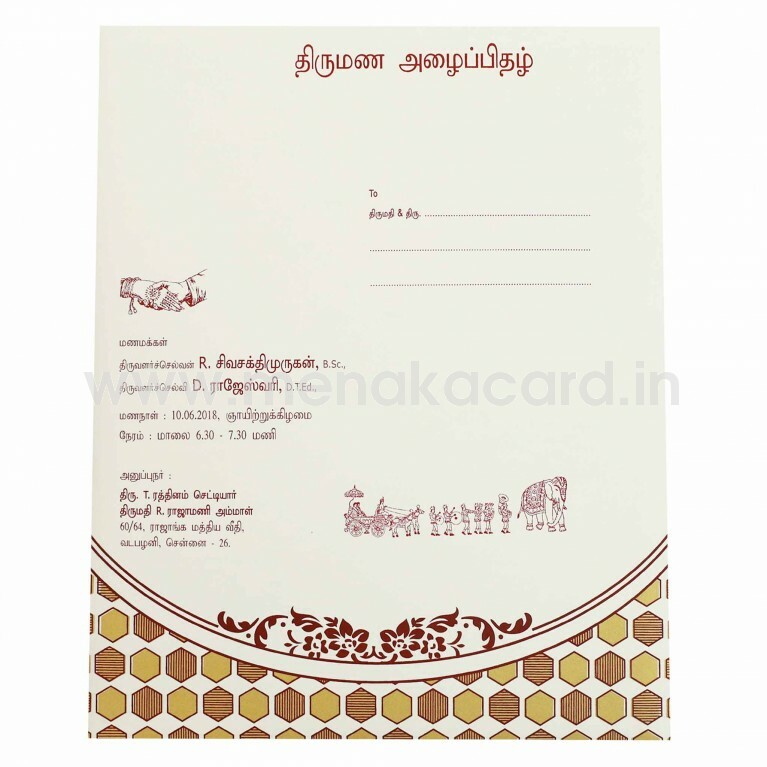 The centre of the book folding card contains the insert sheets printed with contrasting maroon ink. The envelope reflects the same lattice and ornamental designs with the content in maroon ink.